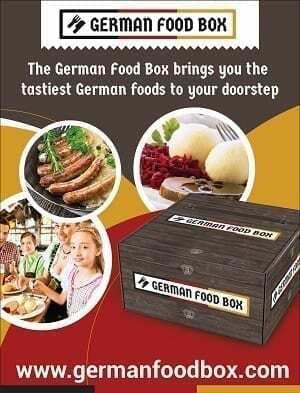 Home German Foods and Recipes German Candy Where to Buy German Candy- Order it TODAY! 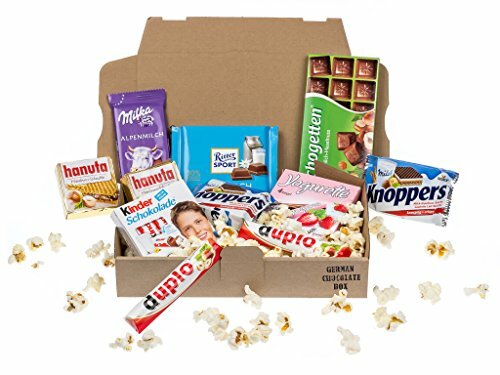 Where to Buy German Candy- Order it TODAY! 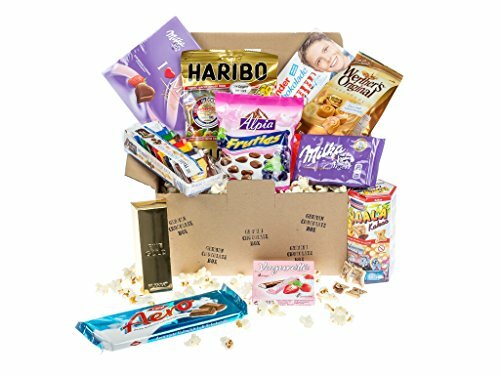 We all know about German Chocolate, and of course, we’ve all tried Gummi Bears, but there is a lot more German Candy from Germany that you must Taste! Brause, Mamba, Nimm 2, und more Haribo sorts than you can imagine. And the best part is? 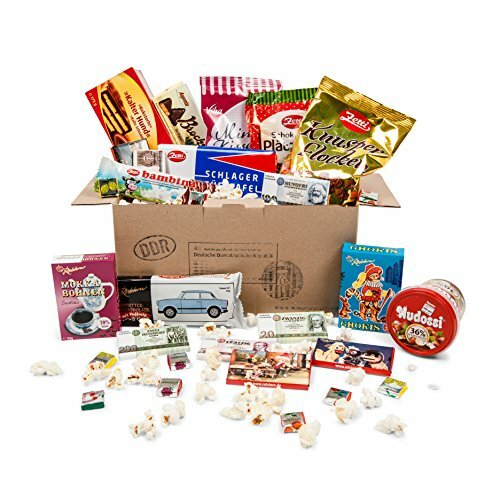 Today, thanks to the internet, we don’t have to wait for packages to arrive at Christmas… BUY GERMAN CANDY and chocolates in the United States YEAR ROUND. 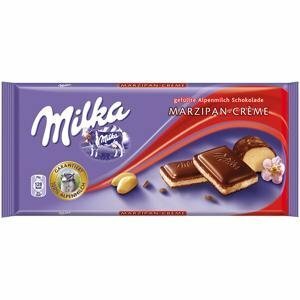 Take a look at this list of favorite German Candies… see how many you remember… and see if there are any you want to try again. 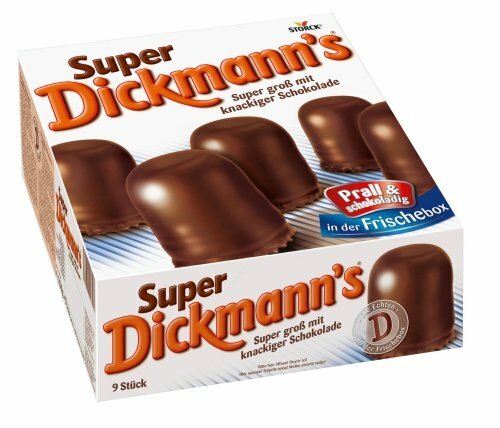 I know, you can get a lot of German candy here in the US… but is it really GERMAN candy? Or is it made here under a German name? Keep in mind, the Germany has different regulations about ingredients… you won’t find things like Corn Syrup in a German Candy. Read the labels! Know what you are eating. And be sure you buy German Candy. That PRICKLES! Brause is a funky sort of candy… a bit like pop-rocks, only fizzy instead of poppy. Brause comes in a few different forms. You can get it as a shaped candy (Bonbon), like these mice, chewy and fizzy. Or you can get a candy (Broken) that is hard powder, sort of like a fizzy Sweet Tart. You can even get powder that you can add to drinks (or just eat by dipping a wet finger into the bag). 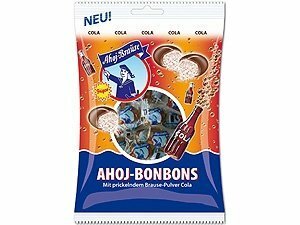 This fizzy stuff comes in flavors like orange, cola or raspberry, and has been a kid’s favorite in Germany since my mom was a kid. 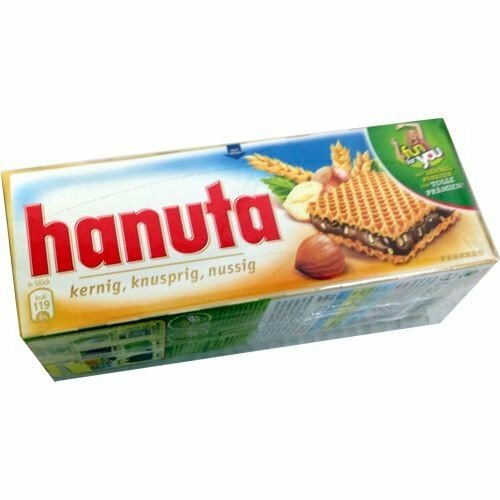 Hanuta is as much a snack as it is a candy. The chocolate filled wafer sandwiches are delicious and filling. Each little gold square pack has 2 “sandwiches”… perfect for your break. Now you can even get the minis! Which means you can justify eating more in one sitting! 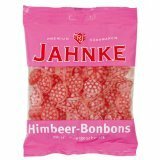 Himbeer (Raspberry) Bonbons are a delightful hard candy. They have a wonderful raspberry flavor, sweet, not over sweet…. and when you bit in to them they CRUNCH, and a smooth filling comes out. 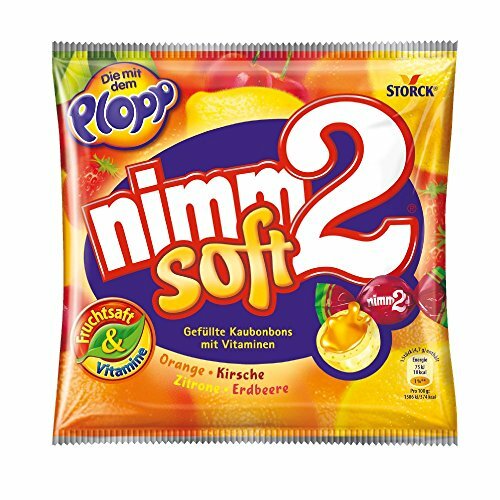 These are the kind of hard candies that your Oma would keep in a bowl for you to nasch, but don’t think they are just for Omas! 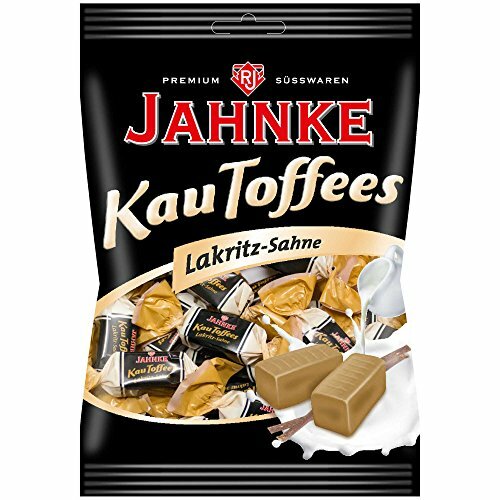 These Milky Toffees are not like an American Caramel… they are soft and less chewy, and not nearly so hard on your teeth! And they are oh so sweet! 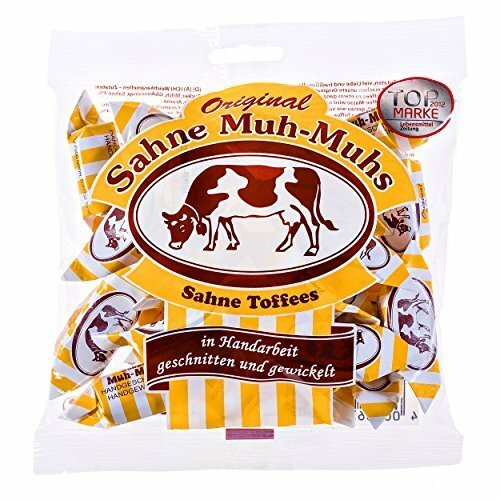 The Sahne Muh Muhs have a creamy flavor and they are delicious and perfect alongside an apple.. If you love the flavor of caramel, and hate having your dental work destroyed, give these a try. Small sweets in an adorable and portable tin. 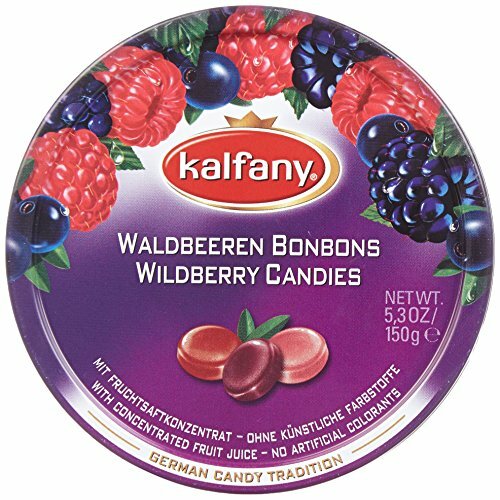 I don’t know anyone in Germany who does not have a tin of these little sweets in their car, or in their purse. They are a lovely little taste of sweet! (and maybe even help with the breath?) Available in lots of flavors, they all have the same size tin. Who would think that Chocolate covered Corn Flakes and Almond slivers could be soooooo addicting!?! 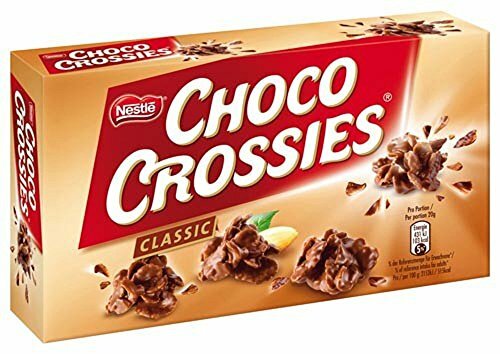 But around my house, when one of the gold-foil Choco-Crossies packages is opened, the contents VANISH in an instant. Even my daughter who “HATES” nuts, keeps coming back for more! These crunchy treats are perfect on movie night… or any day that ends in a “Y”. Although Linsen means lentils, you can think of these as M&M type candies… but better! Instead of tasting like color, they taste of MINT. You always find them in Pink and White (both colors taste the same). My mother kept a jar of these in her cabinet to use as bribes for her grandchildren. (For little ones, just a few go a long way. ) And we big kids love them too. 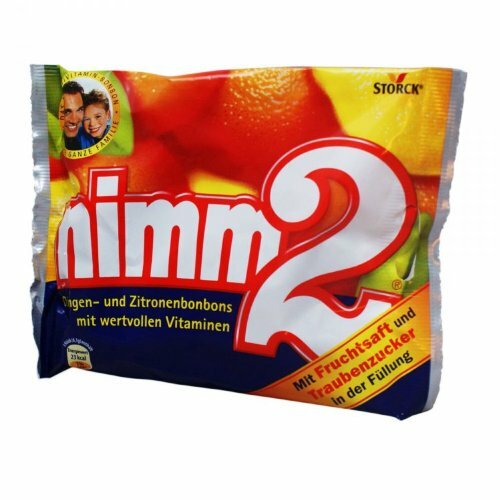 A bag of Nimm2 was always in my mom’s glove compartment… and when my kids were little, I kept a bag in my car too. These citrus flavored hard candies have a deliciously gooey soft center. You can even get them now as soft chews! Since they have VITAMINS in them, you might even consider these candies to be GOOD for you. (Just ignore the sugar). I love that they give a kick of sweetness without filling you up, and they don’t melt in a hot car. Happy Kids eat Haribo! 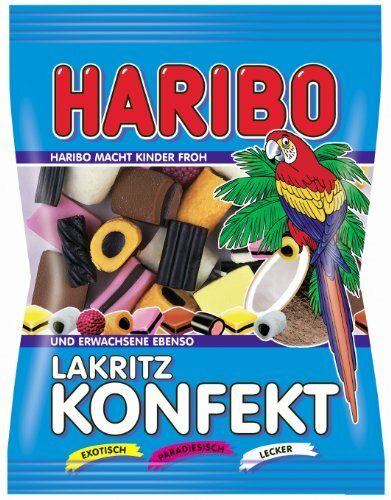 Haribo is the first and last word in German Gummy Candy.They come in loads of flavors and hundreds of shapes. 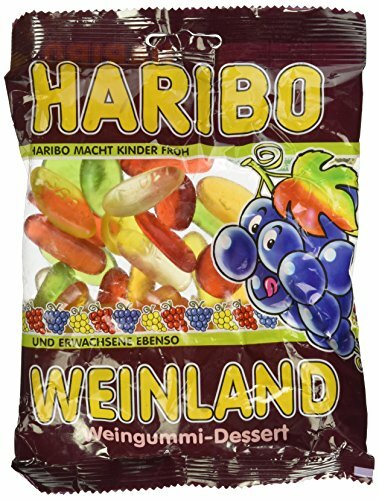 But despite the Worms, Cola Bottles, Peach Rings, Wine Gums, Sharks, Mice, Berries and even TEETH, the most famous (and all time favorite) Haribo product has to be the Gummi Bar. 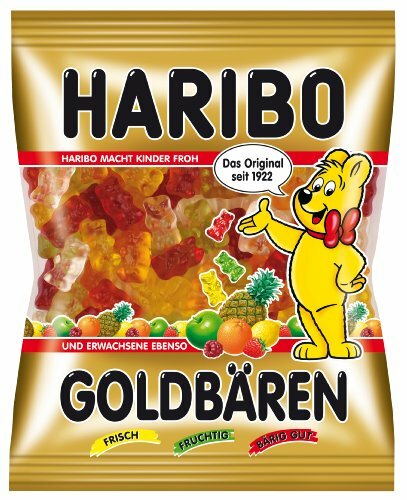 Since the 1920s, Haribo (an abbreviation of Hans Riegel Bonn) has made Billions of these yummy bears.Today you can even get them in massive sizes! Be aware though! Not all Haribo Gummi Bears are alike! The bears made in the US contain Corn Syrup… which is not allowed in the German Made products! 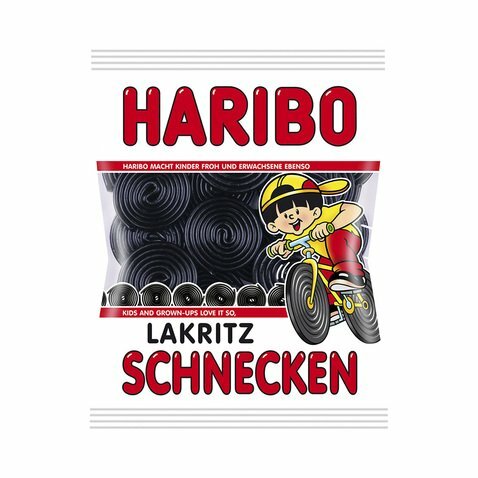 For MORE Haribo products…. click HERE—> Haribo! 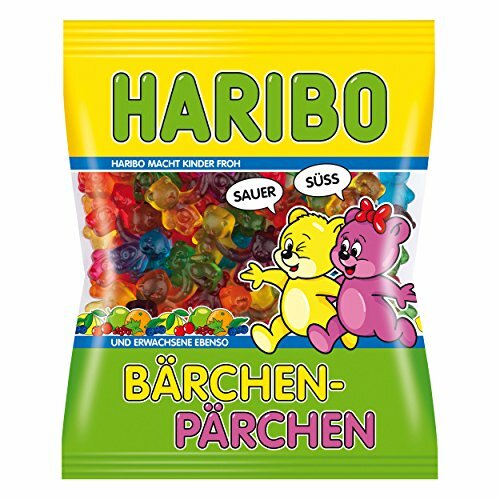 Haribo Goldbaren Haribo Baerchen Paerchen Sour and Sweet 6.17oz – NEW 2014 Haribo Weinland Gummi Candy / 200g / 7.1oz. 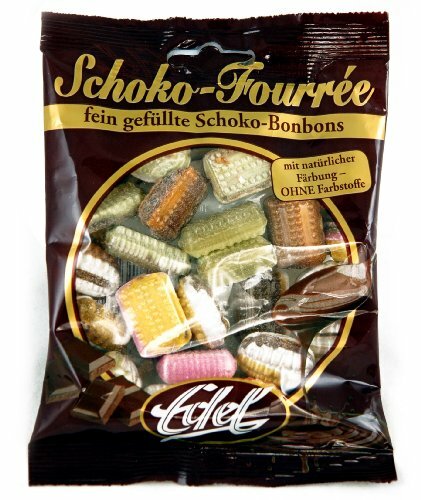 I never really knew the name for these candies… Chocolate Fourrée… They were always just those hard candies with the surprising chocolate filling. I only ever had them in Germany, and I’m delighted that I can now get them here in the US! 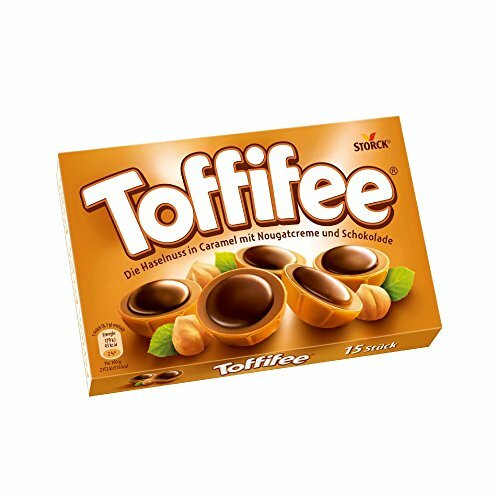 How do you know you are getting the real German Candy… look at the label… you want TOFFIFEE not Toffifay. These amazing treats were favorites of mine as a child, and I always hoped my Opa would include a few packages in the box. You knew they were special because they came came in special trays. A shell of caramel was filled with a soft nougat cream, then topped with a dollop of chocolate… Bliss… Sure, there was a whole hazelnut in the center, but I was an expert at sucking off every bit of candy, and then spitting that nut across the yard. No wonder the advertising jingle said “Toffifee, it’s too good for kids!”. Who doesn’t remember those fun commercials! 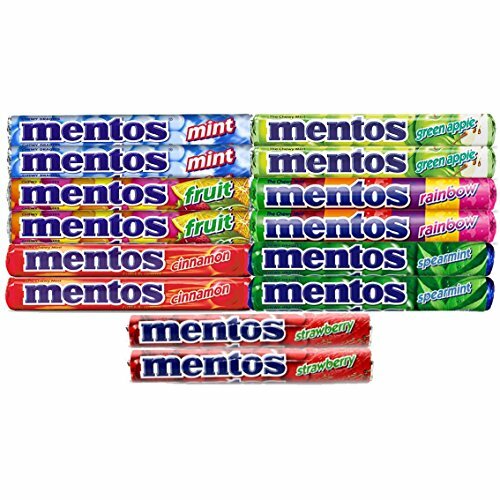 Mentos the Freshmaker! I love the mint flavored chewy candies… but I also love the fruit flavored ones. A hard outer shell, and chewy on the inside. Sweet, but not too sweet…and perfect or sharing. Chocolate for a Kid’s palate! 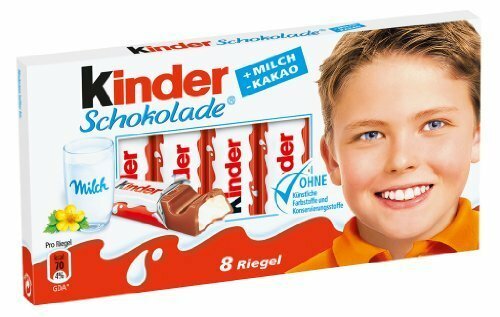 I just have to love a country that creates chocolates specifically for a child’s palate… Kinder Schokolade is a sweet milk chocolate (it may actually be too sweet for many adults). Often the chocolates are fortified or filled with a creamy milk filling … there are those vitamins! This chocolate is GOOD for you!! 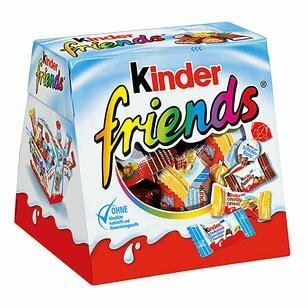 Kinder makes chocolates in different shapes, little finger sized bars, Schoko-bons, and even the famous Kinder Eier (Kinder Eggs). 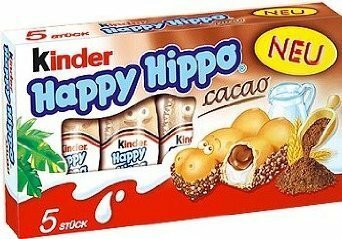 Sadly, due to FDA regulations preventing the sale of candy that contains a toy, Kinder Eier are not permitted in the US. You can, however, get Kinder JOY eggs (The candy is packaged separately from the toy) These are different though, as it is a creamy egg you eat with an enclosed spoon. I loved the bars as a child, and still get a craving for them from time to time. 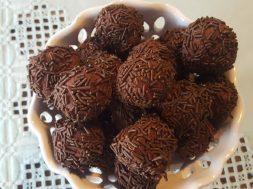 And the Schoko bons? Perfect for a quick bite of chocolate! And my newest obsession that I can’t get enough of? Hippos. Honestly, cookie filled with Kinder chocolate … swoon! As much as I adore chocolate, I really like a nice chewy candy, and I always have some in my purse or car. Mamba, which are similar to American Starburst candies, are one of my favorites to keep on hand. 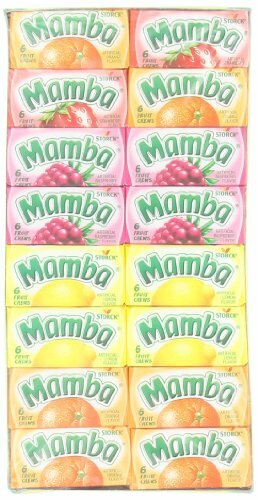 It may be interesting to know that Mamba was intentionally developed to be an inexpensive, but value-for-your-money candy. Which is why they were so popular with kids. They come in bars with 4 packages with 6 chews in each… Strawberry, Raspberry, Lemon and Orange. Or you can get bags for your family to share. If you are Vegan, you may be happy to learn that Mamba is made entirely without animal products or bi-products (like gelatin). I like the simple, not to sweet taste. I admit, I have a thing for chewy candies. 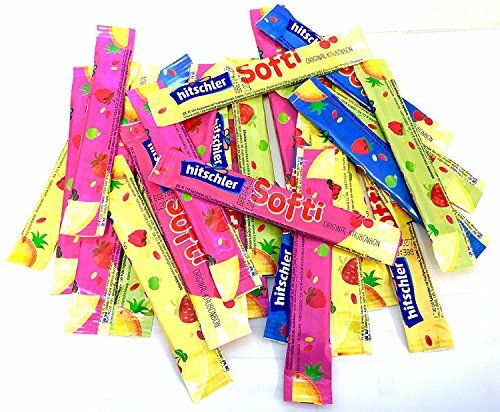 And candies like Softi sticks are a perfect bite when I just need a quick burst of flavor. Keep a few in your bag (the kids will thank you). And because they are small, they aren’t diet busters! In a less enlightened age, these delightful Chocolate Covered Marshmallows had a different name… luckily, today we call them Schaumkusse (foam kisses) or Schoko Strolche (Chocolate Rascals … like the Little Rascals). 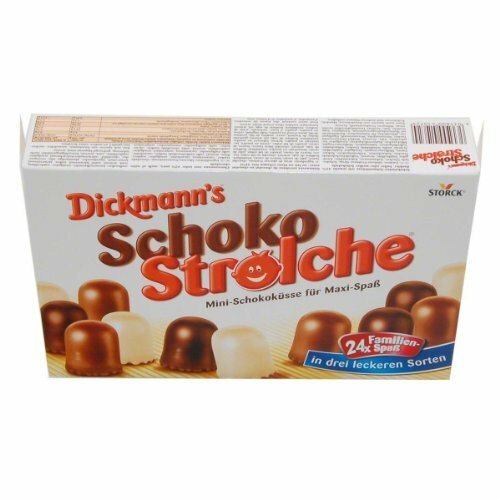 Schoko Strolche aren’t like stiff American chocolate covered marshmallows, they are more foamy or soft. Foamy marshmallow rests on a waffle cookie, so so the bottom is flat. The thin layer of chocolate can be dark, milk or even white chocolate… and the candies come in a regular (large) size, and even minis. 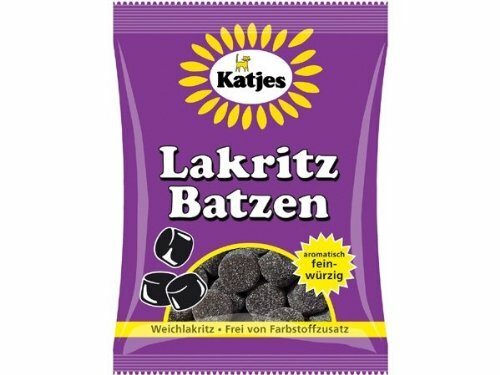 For a super treat, stick a few into a warm broetchen… total BLISS! Marzipan, that sweet almond confection, is made by combining Almond Meal and Honey. This candy is a huge favorite for so many people (like my younger sister). You can get it covered in chocolate, in loaves, and shaped like fruits or piggies. Marzipan Pigs are considered a lucky gift at during the Christmas and New Year holidays. It’s also baked into cakes, like Stollen, or rolled thin and used to cover cakes. You can even get Marzipan Potatoes! The best marzipan in Germany comes from Luebeck. previous Where to Buy German Easter Chocolate to make Your Holiday Delicious! My husband grew up on a military base in Germany during the 80s. He fondly remembers a candy in the shape of a star that he says only the Haribo gummy frogs come close to resembling. Do you know what these may have been? Or Haribo also makes Seesterne…. 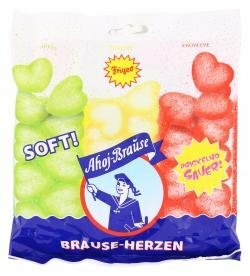 In the mid-60’s I lived in Bavaria and purchased “Sour Stuck” – think planks of sour candy in different colors/flavors. Sold kind of in bulk by street vendors. Also licorice wheels. I don’t know about Sour Stuck … I will post a query to the Facebook page, someone will know! Yes, I also remember these and loved them as a child when we were in Germany many years ago. I sure would like to have some again if they weren’t too expensive. We mangled the name as saurer stucken (for sour sticks). They are still made in Germany by a company named Sadex. 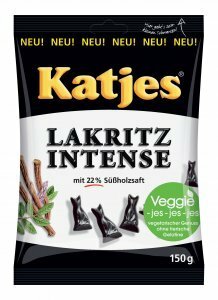 I found them online at http://www.germandeli.com/Sweets/Candy/brand/Sadex but they are out of stock as of 05/18/2017. Sadex Brause-Stäbchen is the name of what we knew as sour sticks, but this translates into Shower Sticks. 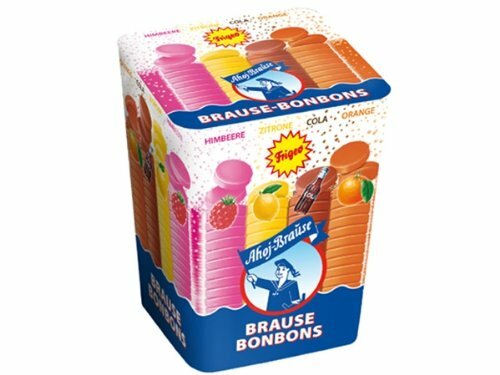 Brause doesn’t just mean shower, also used for lemonade drinks, or “foaming”, hense with these foaming lemonade sticks. Have you seen Reed’s Choco Toffee? No… I haven’t … I wouldn’t know where to find it. 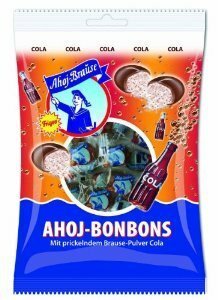 Back in 1965 I use to go to this little store in Dusslingen and get these amazing chocolate candies. They were very thin, covered in chocolate and had a crunchy center that was kind of honeycombed in texture. Does anyone have a clue as to what I am talking about? They were wrapped in gold foil paper. gosh that sounds familiar… let me put it out to the facebook page and see if anyone recognizes it. Maybe this is what you talking about. So happy you found them! I have been thinking of them lately. We enjoyed them in Darmstadt in 1957 to 1959. I will look on Amazon to be sure they are the same. Do you know where to buy those smurf gummies that come in the tub not the bag? Cuz they are different in consistency and taste. I remember a violet flavored candy shaped similar to tic tac that my grandmother would bring back when she visited Germany. Came in a purple floral box. Anyone have an idea what it might be. HI, JUST RAN ACROSS THIS WEB SITE, AS A CHILD IN GERMANY WE HAD A BROCHEN ( BREAD ) MAN COME TO THE ARMY BASE. HE HAD SOME MARSHMALLOW SHAPED DWARFS, SIMILAR TO THE CONSISTENCY OF THE UNDERSIDE OF HARIBO FROGS. ANY IDEAS. I LOVED THOSE THINGS. Not being a gummie person, I have fallen in love with jellies and hamburger specks from Luhder. World market used to carry them but discontinued and on Amazon it states that they are out of stock and not sure if they will return. Has this company went out of business? Do you know of any places in East Tn that might carry them? You might check Yummy Bazaar? Hi, I’m looking for a German Taffy of sorts. A friend mentioned having some about 7 years ago and I would like to surprise him with some. Thank you in advance for any assistance you can provide. I am looking for candy that we bought off a bread truck while living in germany. It was a shell that was filled with soft honey. I would like to see if there is a chance that these can be bought. Thank you. As a kid, in the early 1960’s I lived in Darmstadt, Germany. We could buy hardened honey in sea shells. I’ve never had it in any other country. Where can we buy it now?